This compact globular cluster in Sagittarius was discovered by Mechain in August 1780. Messier observed it on October 18, 1780. 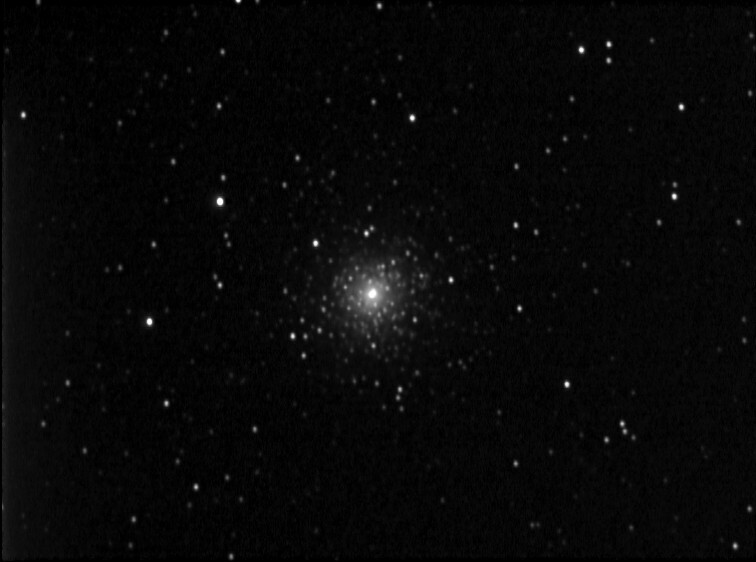 M75 is located 59,300 ly away and its brightest stars are magnitude 17. 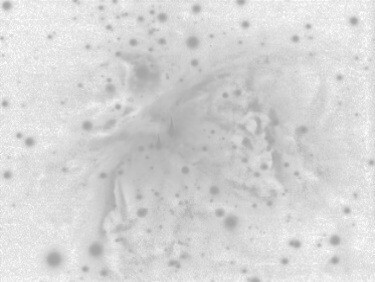 After M80 in Scorpius, this is the second most concentrated globular. 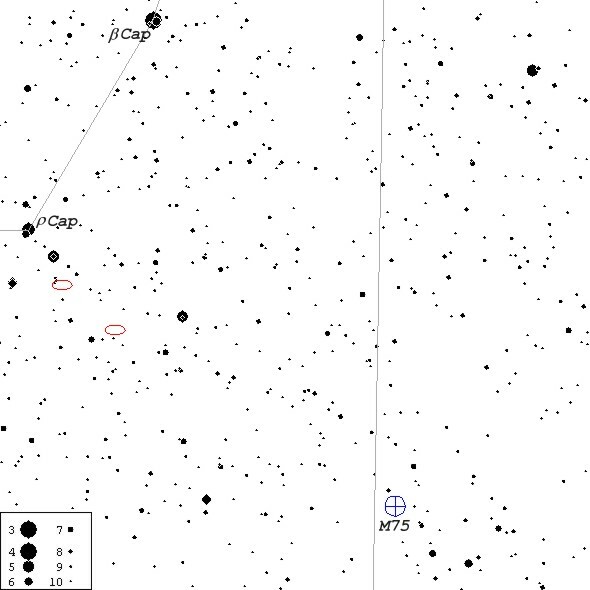 To find it, point your binoculars 8° SSW of b Capricorni (see finder chart below). The above image was taken on July 13, 2002 from Harrowsmith, Ontario with Cookbook 245 LDC CCD camera on a Celestron Ultima 8 f6.3 telescope. Twenty one unguided white exposures (30 sec. each ) were combined in AIP4WIN. Map created in Guide 7.0 - 9° x 9°. North is up.